Nice round design looks more refined. Screen is readable outdoors thanks to incredibly bright display. 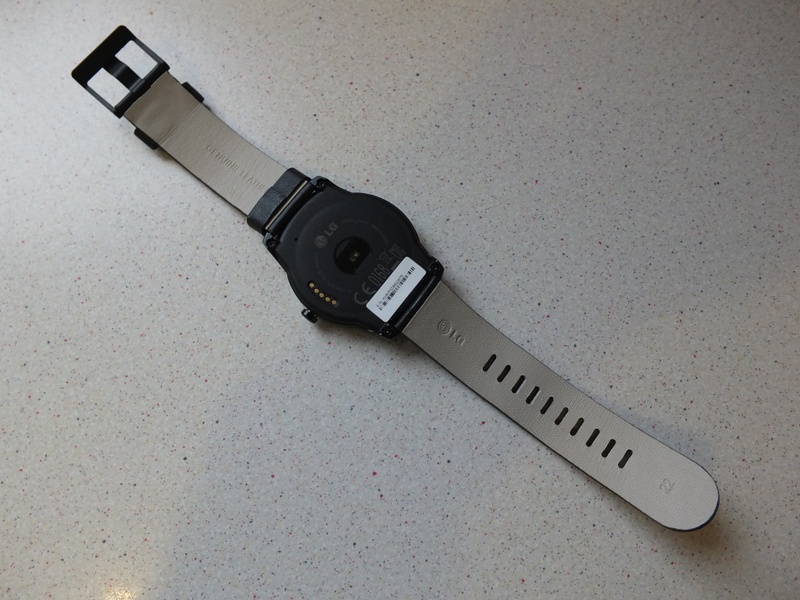 Removable 22 MM watch strap. Crown/Button makes control the watch really easy. 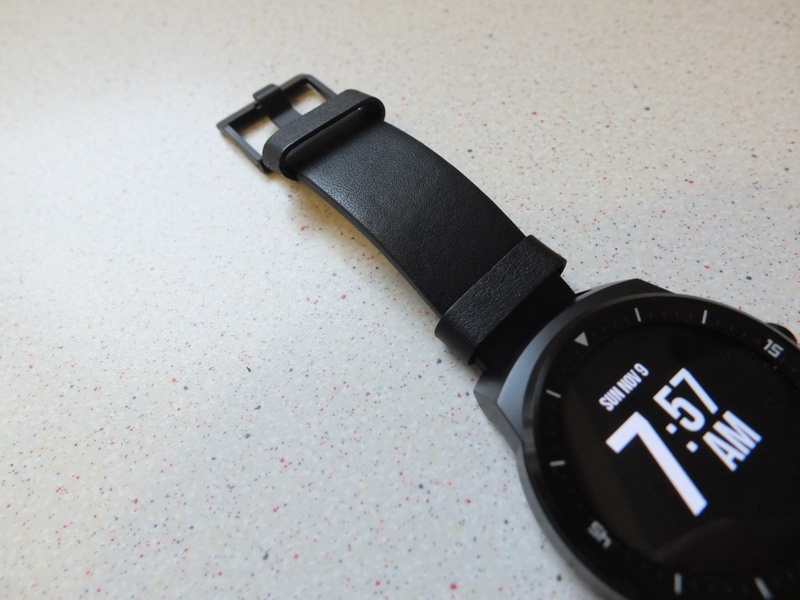 Android Wear is improving in it’s functionality. Battery Life seems improved compared to previous model. 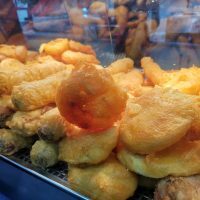 Bright display is too bright in the dark. Bezel markings almost make it look tacky. Watch crown/button really lacks functionality. More expensive than the other Android Wear watches (£224.99) although it is arguably nicer than them. 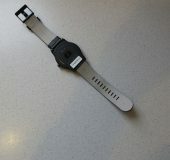 Yes a watch these days has a spec sheet, here is what you get with the G Watch R.
Strap: 22mm (0.86inch) Changeable Watch Strap. Screen: 1.3” Full Circle P-OLED Display. Processing: Qualcomm Snapdraggon 400 Processor with 1.2GHz CPU. Total Internal Memory: 4GB internal storage and 512MB RAM. Size: 46.4 x 53.6 x9.7 MM. Resistance: Dust & Water Resistant (IP67). Ports & Connectors: Micro USB on Charging Cradle. Sensors: 9-Axis (Gyro/Accelerometer/Compass, Barometer, PPG (Heart Rate Monitor). Not much has changed with this model, the processor, the memory and the RAM are the same. The display is now a 1.3″ P-OLED which is slightly smaller than the 1.65″ IPS LCD on the original model, the quality of the new screen is miles ahead of the old one, so much brighter and nicer to look at. 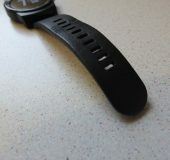 It has also gained a heart rate monitor on the back of the watch as well, which is a bit of an odd inclusion in a watch, but hey who am I to question it. It is hard to not draw comparisons to the previous version of this watch, heck it was only a few months ago that I got one. But hey, this is a new watch. 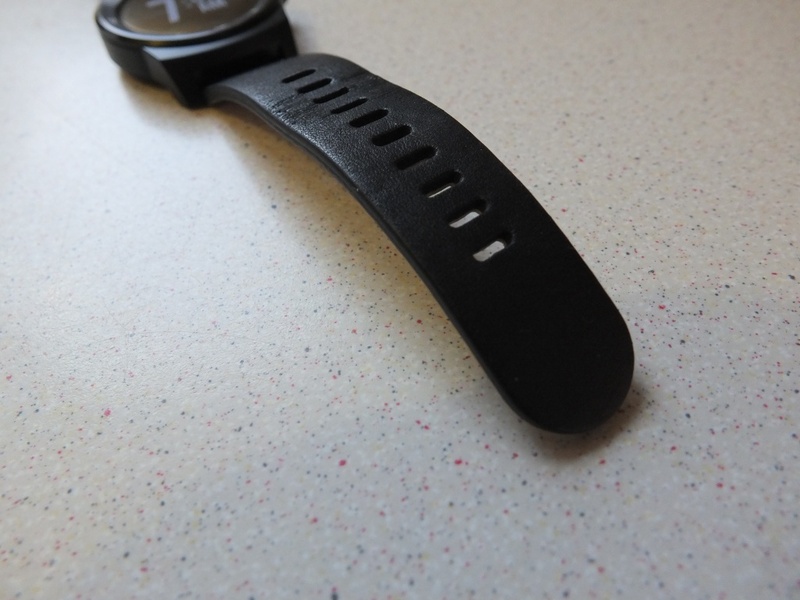 The LG G Watch R is round, it looks a bit like a normal watch and it’s a bit chunky. Scratch that it’s really quite chunky. 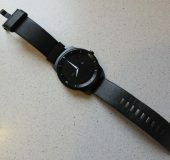 The G Watch R is made of a black matt Aluminium, which gives it a very distinct solid look to it, couple that with the fact it’s actually quite big it makes for a unique looking watch. The right hand side of the watch has what looks like a traditional watch crown, all it actually does is to turn the watch on, dim the screen and also to access the menu system. The bottom edge has a microphone hole which is for the voice recognition stuff. 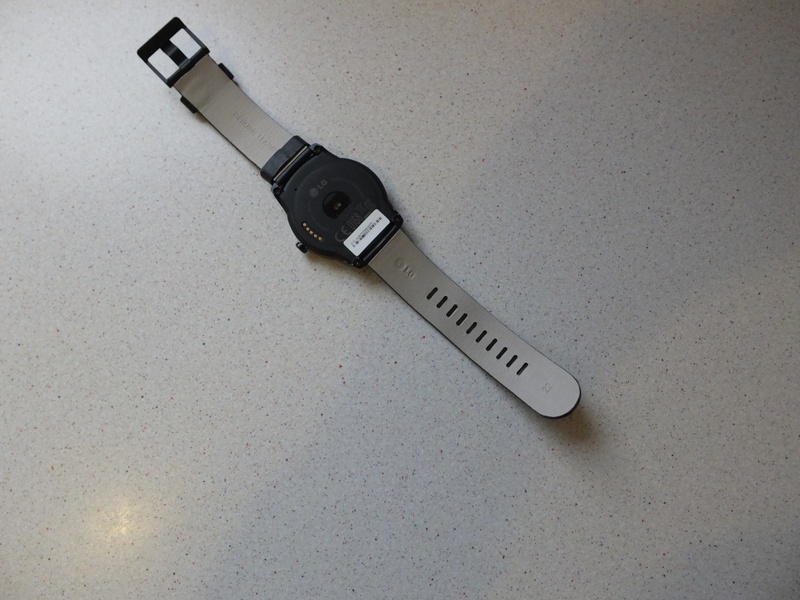 The back of the watch is made of some sort of plastic, it’s solid though. 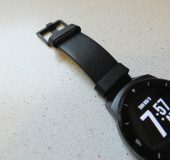 The back retains the charging pins that we saw on the previous model and it gains a heart rate monitor, personally I don’t get the inclusion of heart rate monitors into devices like this, I would never take it on a run with me. The face of the watch has a non movable bezel on it, with traditional looking etchings for five minute marks, with 15, 30 and 45 seconds appearing in numbers. As it doesn’t rotate the 30 is left upside down which looks a bit weird. The bezel is made of metal but this time it’s quite a shiny black metal. 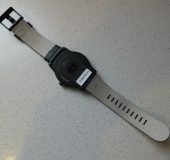 The strap that comes with the watch is a plain black leather 22 MM strap that has a metal buckle and a cream backing. The first time I felt the strap it felt rather hard and unpleasant, after a few weeks it has softened up. I’m going to replace it with a metal strap very soon. 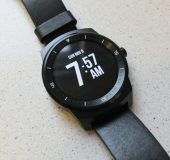 Overall I like the design of the G Watch R, it could have been fancier looking. If the bezel rotated, if it was available in Stainless Steel or Brushed Steel it would really be a contender for a higher end watch. Would people pay that extra money for a smartwatch though? I’ll be happy with a metal strap and be done with dreaming about what could have been. 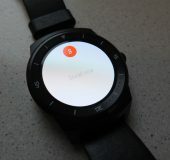 Take a look at my quick hands on video with the G Watch R.
Android Wear is almost whatever you want make it. If you want just an extension of your phone then it can do that. If you want it to run little utilities like calculators or calendars then it can do that. If you want it to runs apps, play games or control media again it can do that. At the end of the day it is the smartwatch OS that has the most potential, it’s all down to Google, the manufactures and the developers. 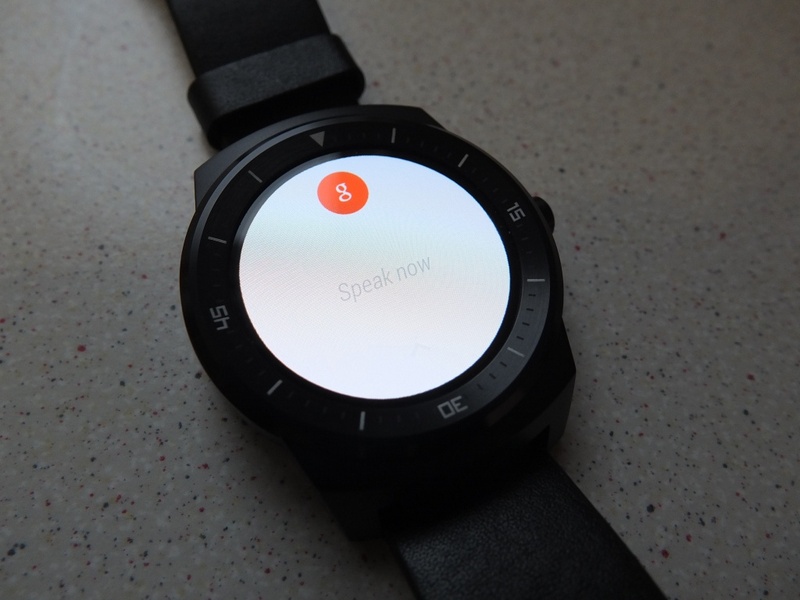 Having used Android Wear a few months ago I pretty much new what to expect when I set the G Watch R up. Out of the box it does a few things, it displays all of your notifications on the watch, some of which are actionable, some of which aren’t. This is quite a cool feature, if developers add Android Wear support to their app you can swipe left on the notification and you get options, sometimes you can even reply using voice recognition, also you can sometimes delete or open the notification on the phone. So if you’re chatting with someone on Hangouts you can reply using your voice, it manages to do a few words at time, which if you’re sending SMS with a limited amount on your contract or on PAYG it might be a problem. Also if you’re on the bus or train and don’t fancy saying everything out loud to your watch you won’t be able to reply to your messages, you’re actually going to have to get your phone out. Sometimes apps aren’t actionable and only offer you to open it on the phone. I find myself adding these apps to the blacklist of apps that don’t push their stuff onto your watch. This way you’ll not get annoyed about non actionable notifications. 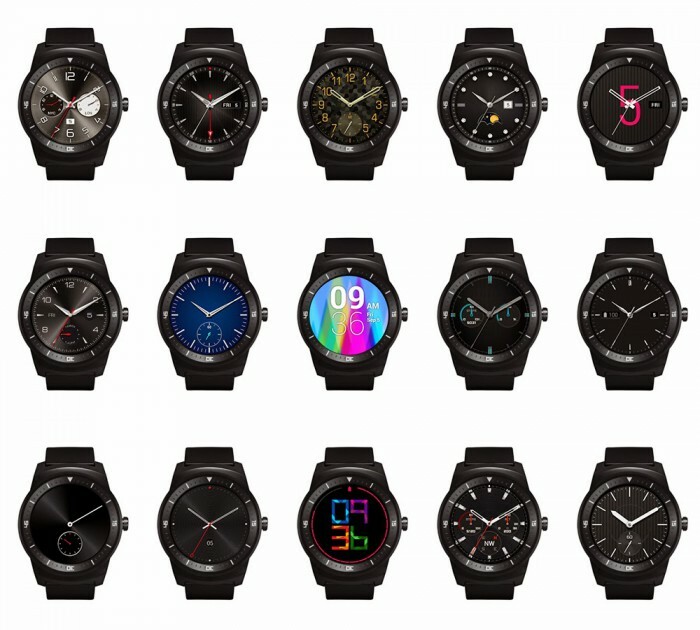 The LG G Watch R allows you to choose from about 20 watch faces that are built in which LG have nicely added to one big image. Google still haven’t release the native watch face API or SDK yet, so it’s left to developers to make their own watch faces themselves. 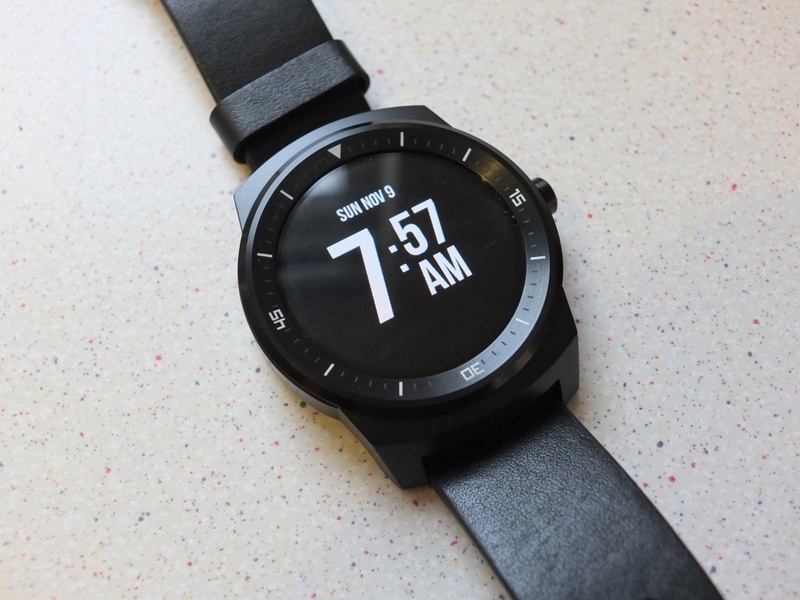 A lot have already done as such, with many custom watch face apps being available on the Play Store. 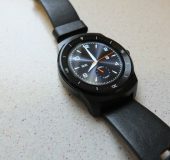 It is meant to be included with the release of Android Wear 5.0, which is rumoured to be released towards the end of the year. There are plenty of faces to choose from so I can wait for that. Android Wear also links to Google Fit on your phone and it also displays any cards from Google Now that you may have lingering. The default behaviour can be played with, in the settings app for Android Wear on your phone, you can blacklist apps from appearing on your watch and also amend settings for the screen on action. 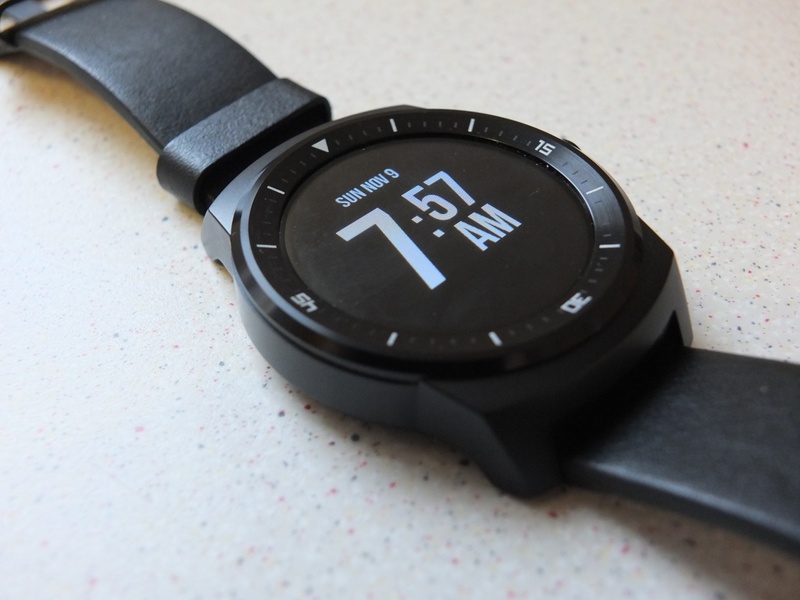 The Android Wear app on your phone also helps to remind you what it can do, with a list of things like Agenda, Navigate, Play Music, Set a timer, Set an alarm, Show alarms, Show me my heart rate, Show me my steps, Start stopwatch, Take a note, Call a car, Start a bike ride, Start a run, Start a workout and Browse suggested apps all sitting there as visual cues to talk to your wrist. Personally I find I can never remember the exact phrase to trigger the app on my watch and I end up searching for the relevant app either on the phone or hidden away in the app list. 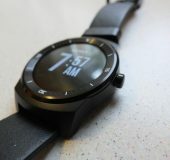 The latest firmware update to Android Wear added functionality to add music to the device, added better media controls, added support for Heart rate monitors, fixed a load of bugs and on some devices added GPS support. 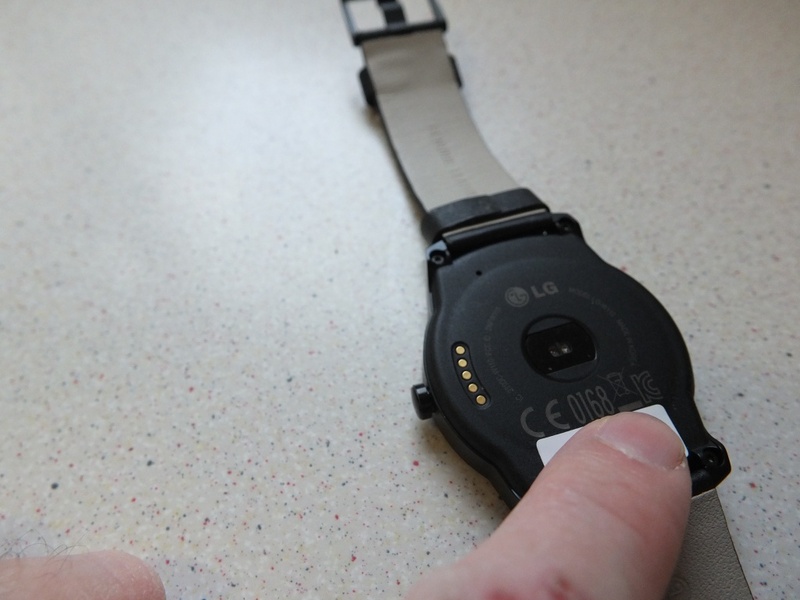 The hardware of the watch poses a few unique situations for LG G Watch owners. Firstly the bezel, it sits proud of the screen by about 1.5mm at the most, it slopes inwards and it’s pleasant to run your finger over. It does not inhibit any on screen gestures at all, your finger just glides over it and then interacts with the screen. 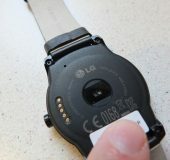 Next is the fake crown button thing on the side, it serves as a power button when the watch is turned off, as a way of quickly bringing the phone out of standby and at the “OK Google” prompt, it also when pressed and held acts as a quick way of accessing the settings. 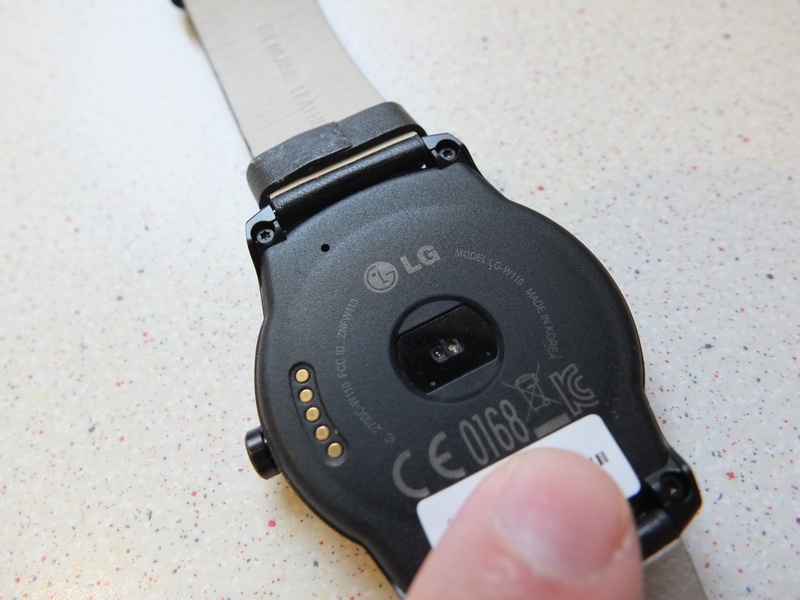 The next hardware thing that needs discussing is the charging solution, no Qi wireless charging here, you get five pins on the back of the watch and a round desktop charging dock which has a Micro USB port on the back, it is not an ideal charging solution, I’d have loved to have seen Qi included in the LG G Watch R. The last and possibly the most annoying hardware issue is the brightness, the G Watch R is ridiculously bright, I have mine set to the lowest setting and in standby mode you can read it, in awake mode you can definitely be able to read it, in a dark room on full blast you’ll strain your eyes, as there isn’t any sort of light sensor you’ll be the one in charge of changing the brightness. Non of these are show stoppers really, there just me being overly picky with the G Watch R trying to find things wrong. 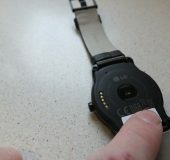 Lastly we need to discuss battery life, the original watch barely lasted a day, with me often having to charge my watch during the afternoon. The newly optimised software and the slightly larger battery on/in the LG G Watch R result in a battery life that pretty much makes it through two days. Obviously this is down to the user, if you have thousands of emails, messages, tweets, calls and other such notifications then you’ll be lucky to get more than a day, however if you trim down the apps you don’t need on your wrist and you don’t have the brightness on full blast you’ll be good. 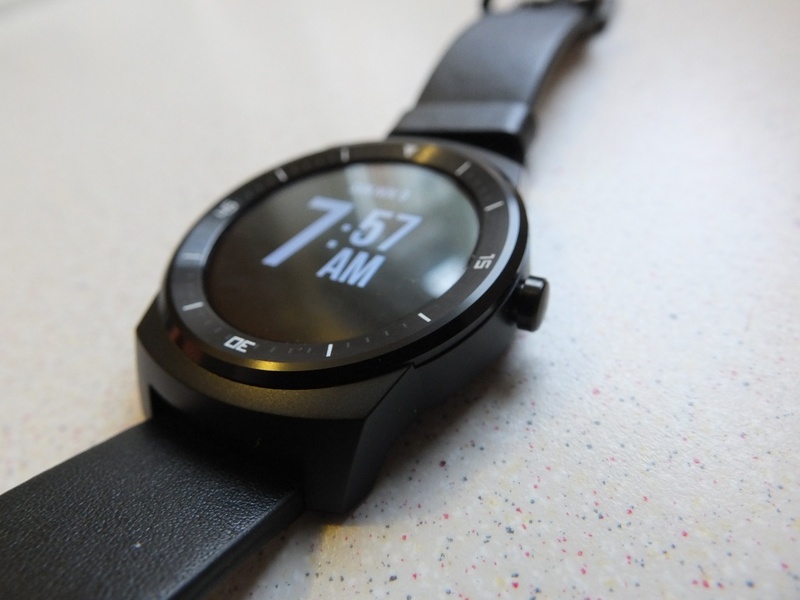 The LG G Watch R is a great piece of kit, it is well designed, well built and Android Wear really adds some great functionality to the Android smartphone power users arsenal. I liked it so much more than the original, which really did feel like a first generation product, this the new model feels more refined and more thought out. If only they can sort out the brightness with some sort of software update and I’ll almost be totally happy with it. 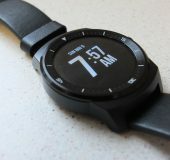 As for Android Wear as a whole, I feel it is really in its infancy and we don’t really know where it’s going to go, whether long term the smartwatch market will be a three horse race with Apple and Pebble offering the competition remains to be seen. 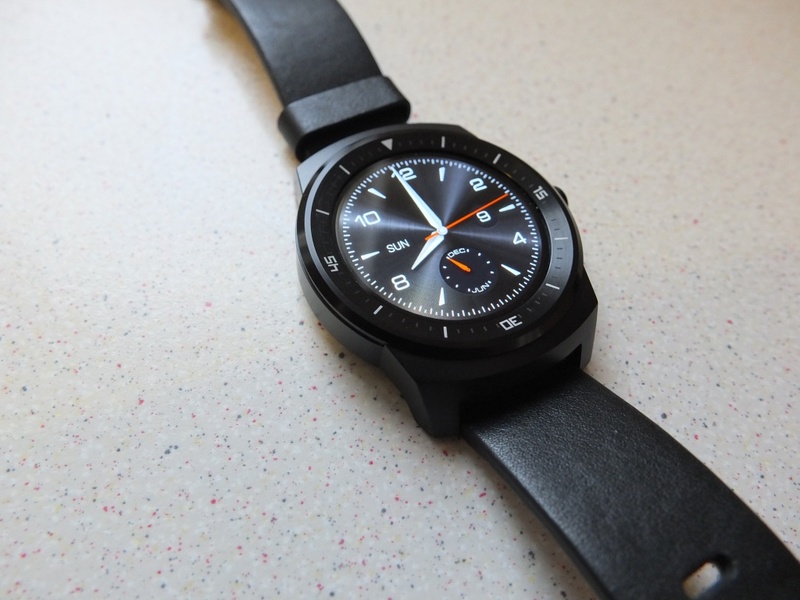 I do however think that Android Wear has the most potential though, with no end of manufacturers no doubt attracting new consumers to the platform with what looks like a yearly stream of new watches. 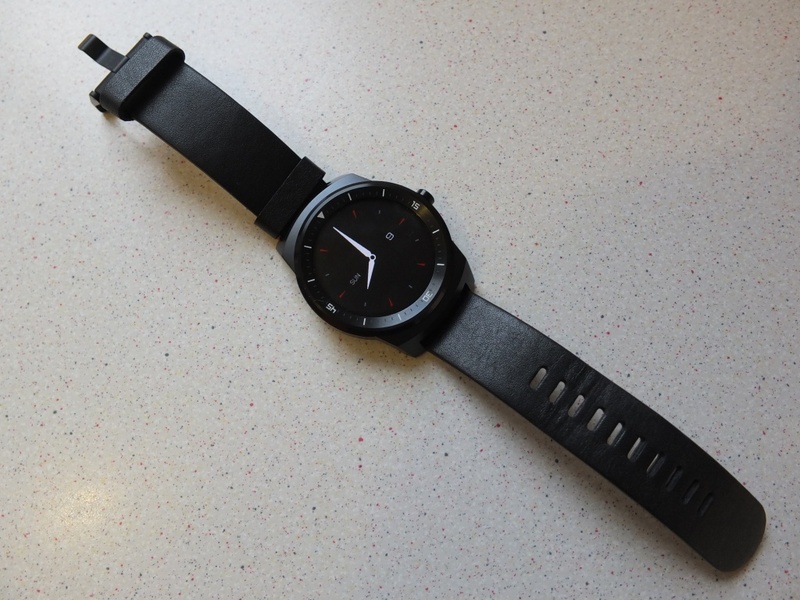 Lastly a big thanks to Clove for supplying the LG G Watch R and it is available from them for £224.99 here. I hope this is a joke. I hope this is a joke.